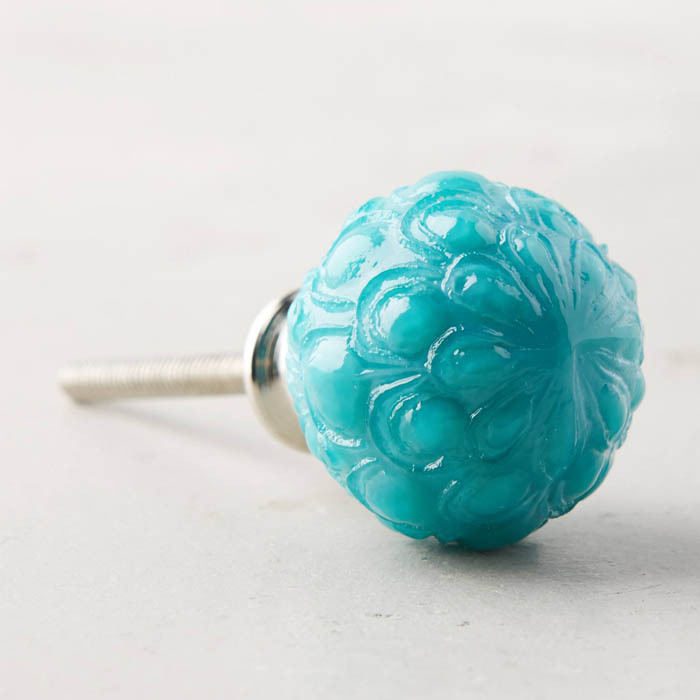 Update a dresser or cabinet with this striking Turquoise Plumed Knob. Made of hand-painted glass and iron. $8. Buy here. 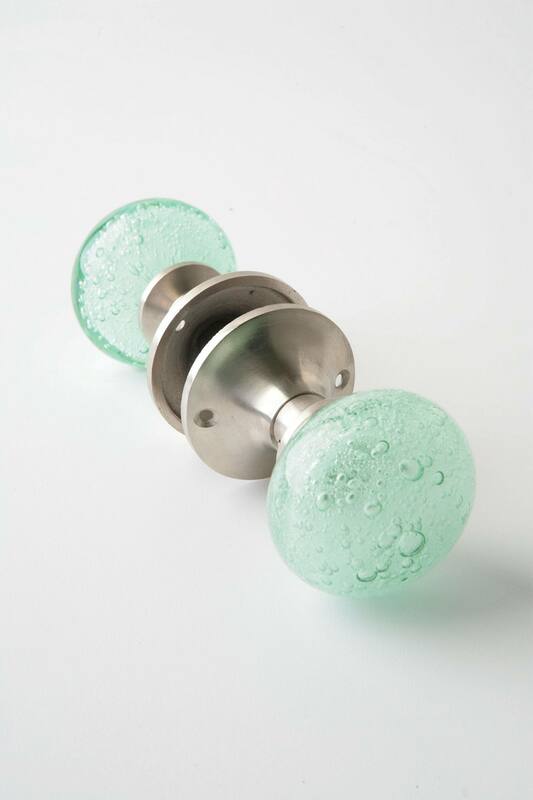 This Glass Bubble Doorknob features effervescent knobs of smooth, colorful glass that reach their boiling point. $32. Buy here. 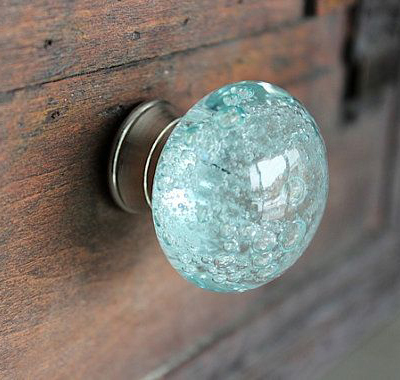 This Sky Soarer Knob will add a whimsical touch to a cabinet or dresser. 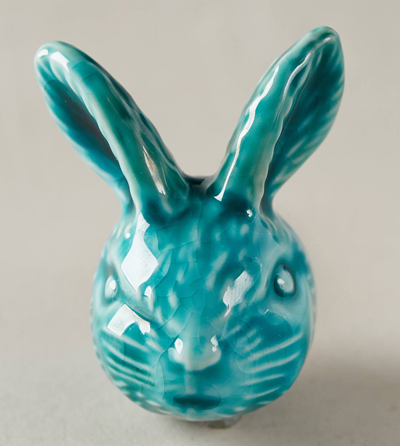 Made of stoneware. $10. Buy here. 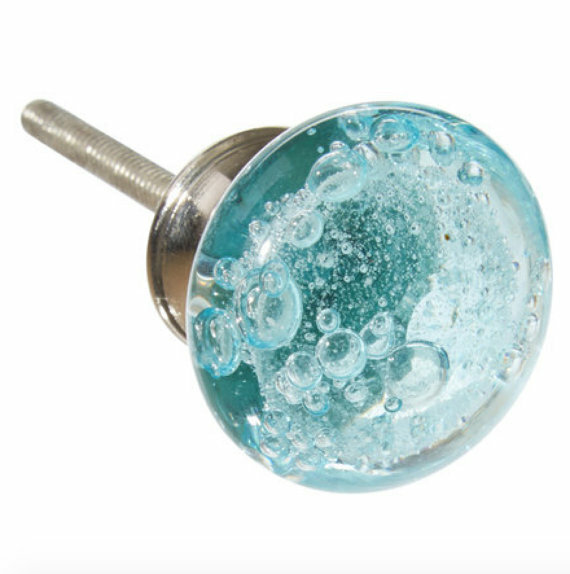 This Ocean Crater Knob will instantly transform a dresser or cupboard with sea-inspired color. $10. Buy here. 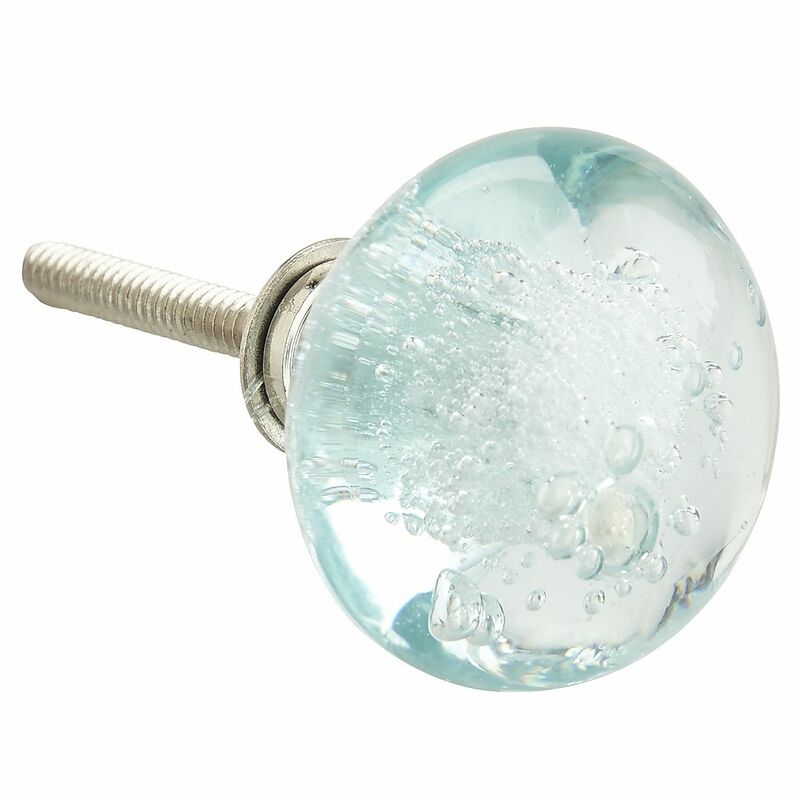 This glass Ocean Bubble Knob updates a piece of furniture or cabinet with sea-inspired color and texture. $6. Buy here. 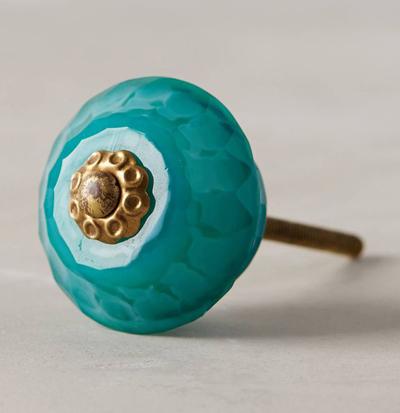 This whimsical Forest Menagerie Knob will transform a piece of furniture or cabinet. 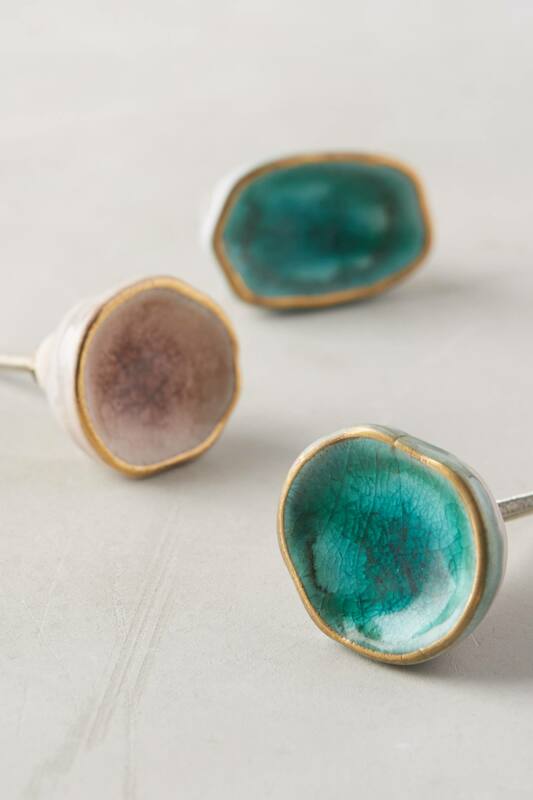 Made of brass and ceramic. $10. Buy here. 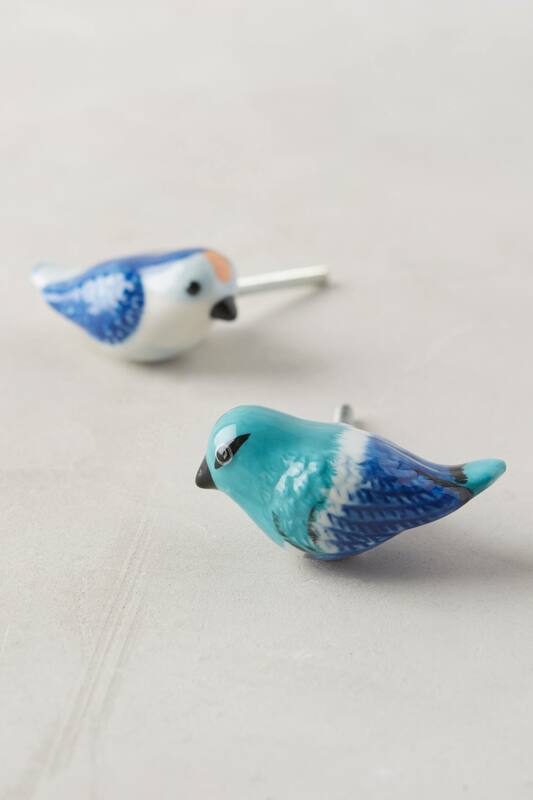 These Painted Maris Knobs give your dressers, desks, cabinets, and more a little bit of coastal flair. $10. Buy here. 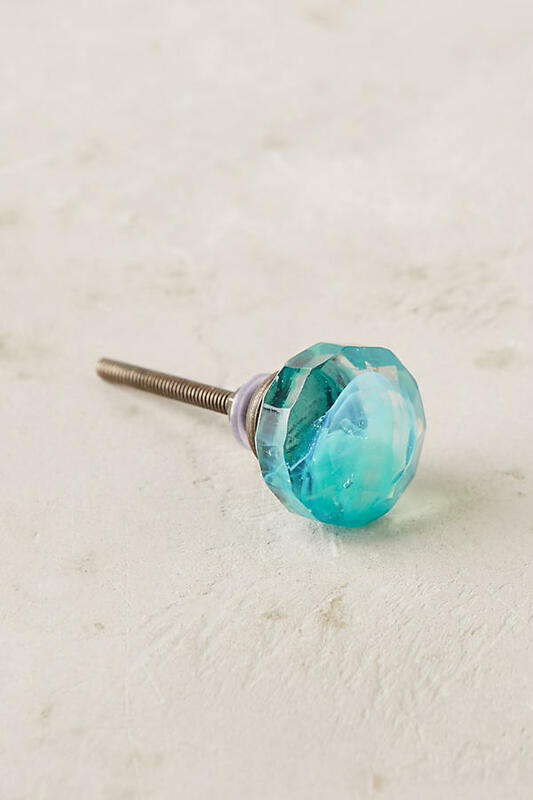 This Faceted Erabella Knob in Turquoise instantly brings new life to your space. 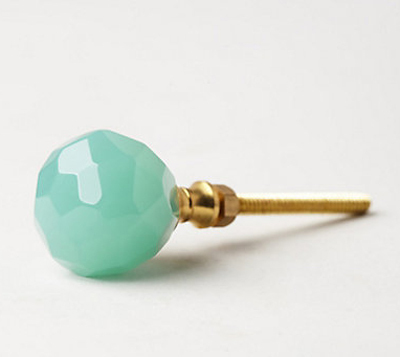 Made of glass and brass. No additional hardware required. $10. Buy here. 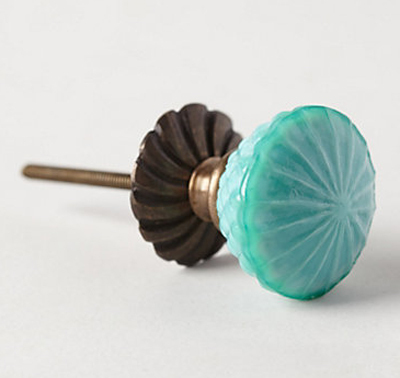 This blue green Simmered Glass Knob instantly adds color and personality to unexpected places. $10. Buy here. Make seasoned furniture look new with a quick and colorful update. 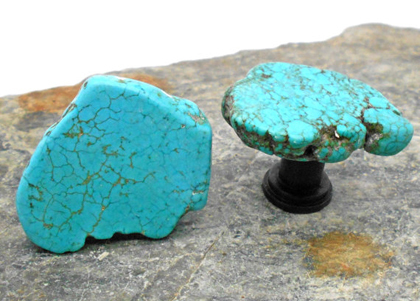 The Turquoise Ceramic Knob is made from ceramic with a bronze-finished brass. Includes mounting hardware. $9. Free shipping. Buy here. 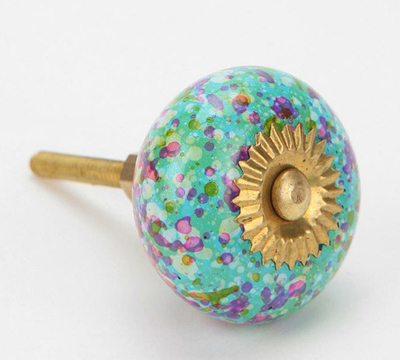 This ceramic Glass Confetti Knob is finished with a colorful, confetti-like design. 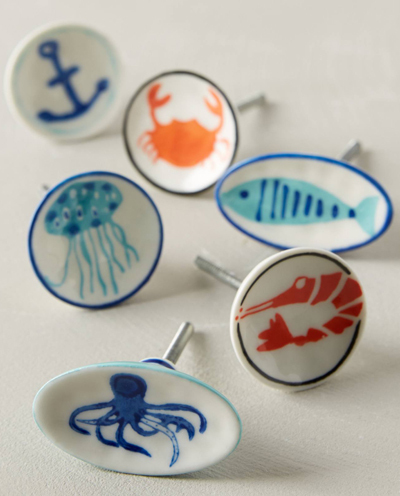 A fun and easy way to dress up any drawer. 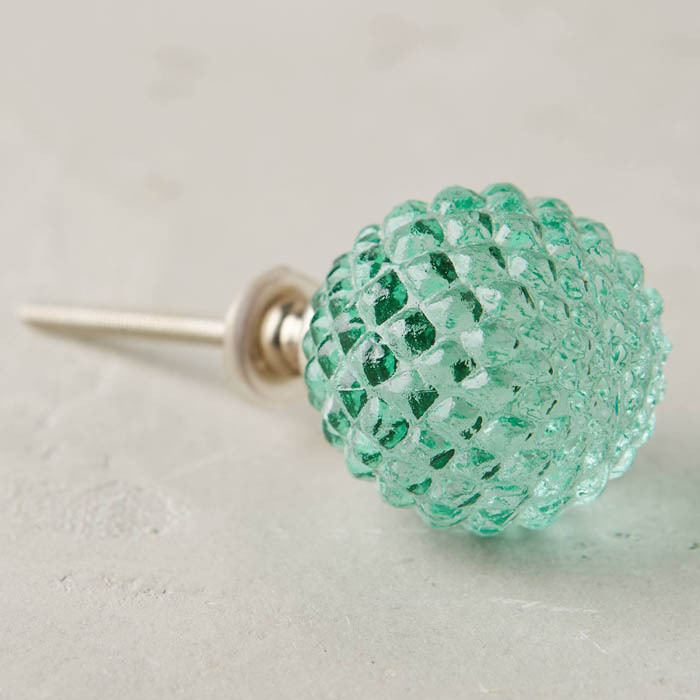 Great for your kitchen cabinets, too! Complete with a screw at the end. $5. Buy here.